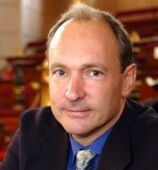 Tim Burners Lee was born on the 8th June 1955.He created the world wide web and was a computer scientist. He studied physics at oxford university. He created the first website (http://info.cern.ch) in August 1991. Alan Turing was born on the 23rd of June 1912. Alan studied maths at Cambridge University. 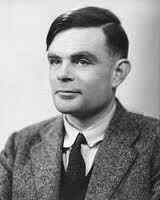 Essentially he created one of the first 'computers' which was used to break codes coming from the German side during the war.In 1952 Turing was arrested for being gay and back then it was illegal to be a homesexual. Sadly Turing comitted suicide eating an apple with sionide in it. People think that this was because his favourite fairytale story was snow white.